My tank is 10gal with 15w fluorescent light. I have two Amazon Swords plants. for fish I have 3 guppies and a tiger barb, sometype of red fish, maybe a molly. the filter is a cheap 15 gallon out of tank filter. Also I have an upside down catfish in a fish bowl in my sons room (i purchased him without knowing he was a predator). The tank itself has been setup now for a 3 years. Actually started getting more into it recently and getting more info. 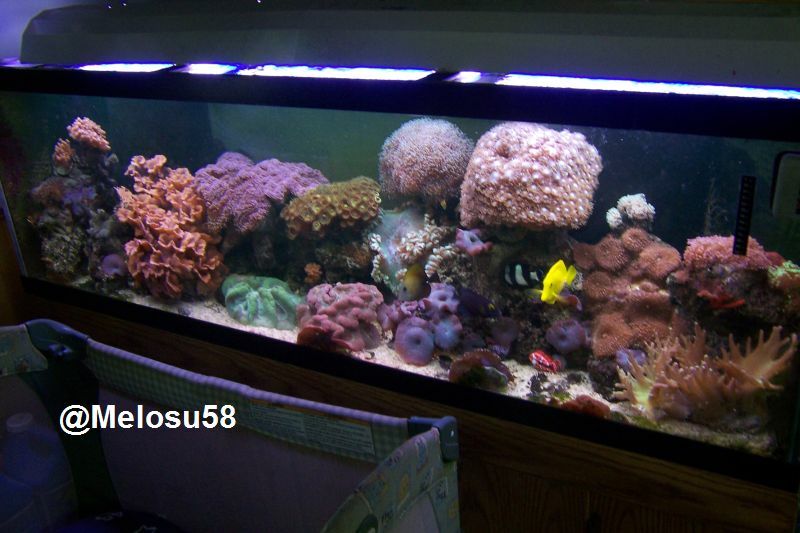 Eventually would like a big tank with a filtering tank (can't remember the name of that type of system). I get most stuff from LFS like petsmart and petco. Thank you and have a nice day. Glass catfish are predators...nope, never heard of that, more than often they are too shy to even be close to a fish other than thier own species. Hi and welcome to AA! Yep. My upside down cat hangs out with the pleco, clown loach, and leaf fish. And he doesn't go near the tetras. And, BTW, timber, good for you for getting more information before you get your bigger tank. This forum has loads of great information, and the members are always ready to answer questions and many have years of advanced experience and wisdom. And while you are at it, be sure to check out Eco's, The (almost) Complete Guide and FAQ to Fishless Cycling. It's awesome. The guide starquest mentioned is great. We're big advocates of fishless cycling here at AA. The smaller tank used as a large filter is called a sump. It houses all your devices out of sight etc while adding water volume to your system. If you're going to petco/petsmart as your LFS, make sure to do your research before and after their recommendations. I have yet to find knowledgeable staff at these locations that cared more about my tanks than trying to make a sale. Hopefully the stores at your location have helpful folks; but just becareful. Feel free to ask any questions you may have here. Folks here at AA are pretty nice and willing to help each other out. Welcome to the website! Glad you could join in on all of the fun!